As I've said many times, the ability to travel is a privilege. 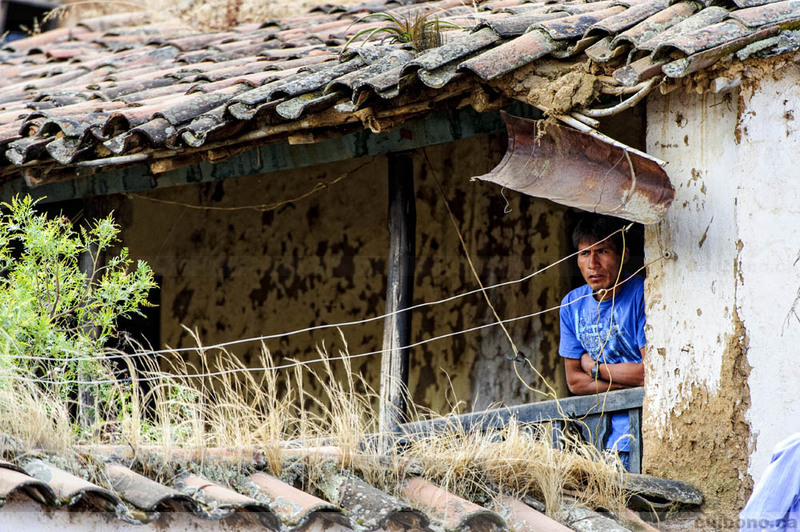 It allows you to connect with fellow travelers as well as make new "local" friends; gives you a chance to visit popular sights and if you're lucky enough to go off the beaten path to discover things that most will never see or experience. 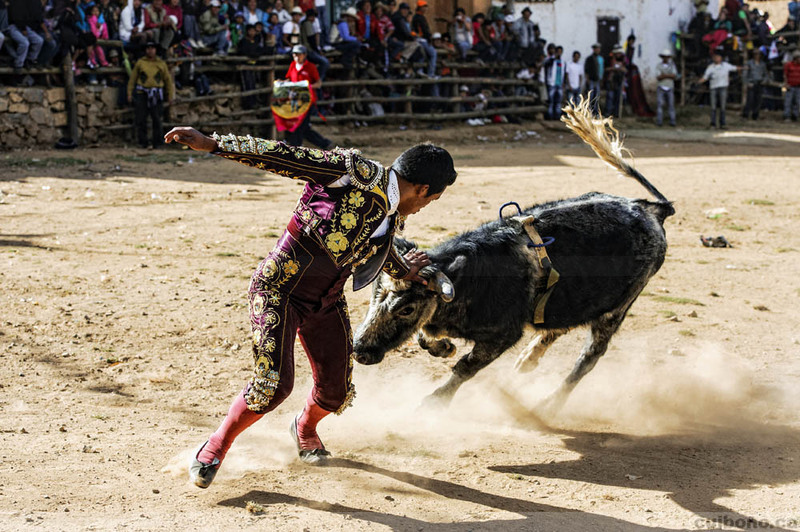 Roughly four months before my trip to Cusco, Peru, I heard about an event that took place on Peru's Independence Day (July 28) that sounded pretty unbelievable: bullfighting with a condor tied to the back of the bull. What? 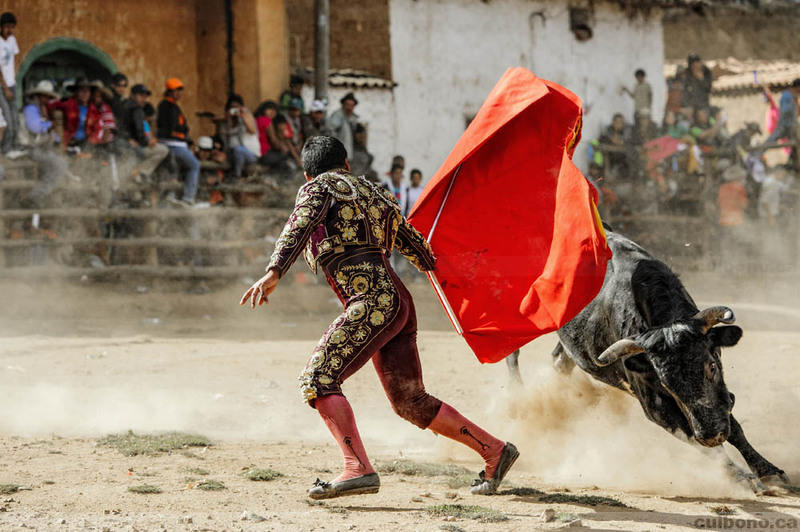 Yes, you read that right: a bull with a condor tied to its back, challenged by many bullfighters (i.e. 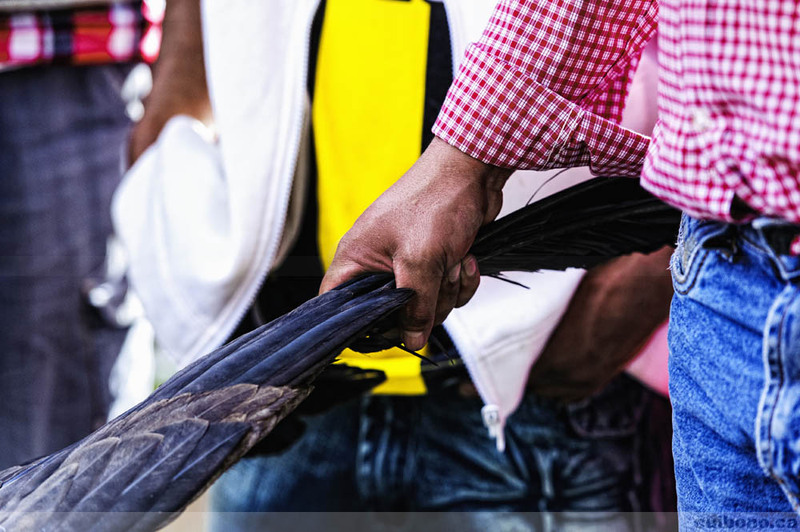 a toreros). That made no sense to me at first, but given the fact that my in-laws are Peruvian, getting more information and context was pretty easy. 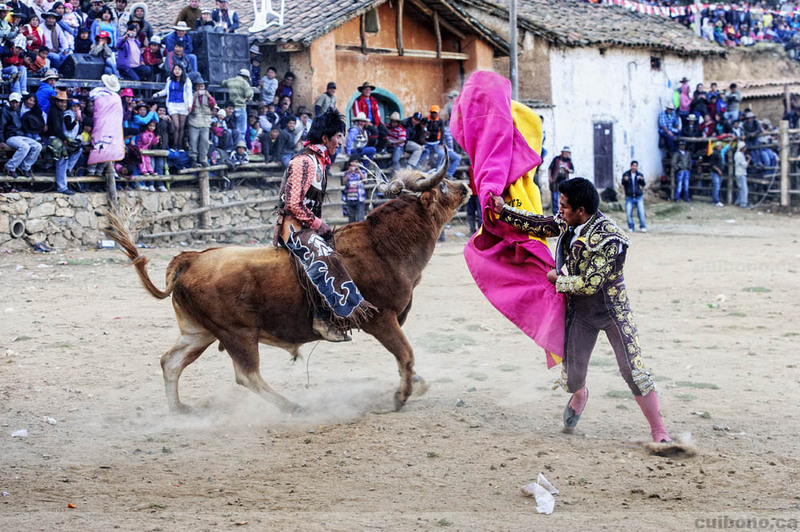 The main event, steeped in tradition and history, takes place on Peru's Independence Day in a remote village called Cotabambas in the Apurímac Department. 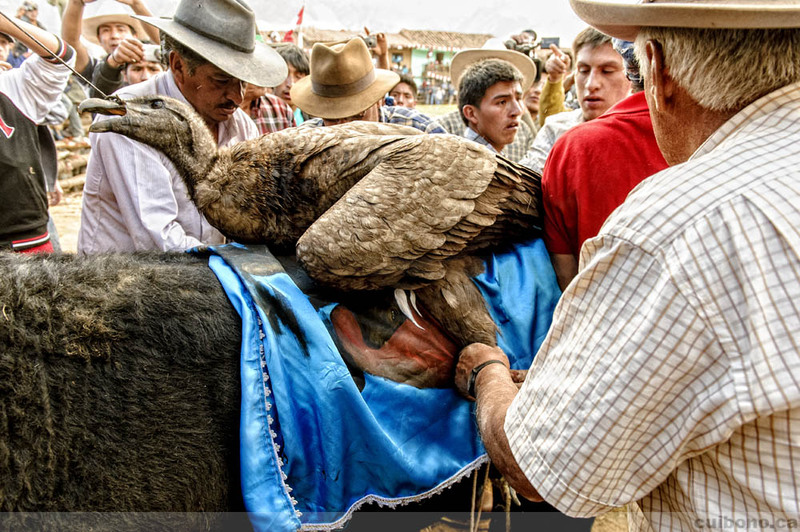 The condor, caught several days prior to the event in the nearby mountains, represents the native/Andea culture while the bull represents the conquering/invading Spaniards. 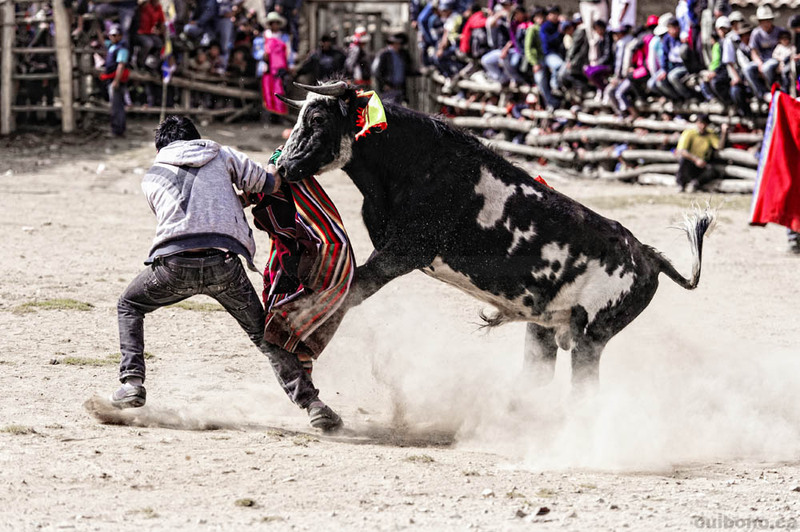 The event itself is a metaphor, depicting the fight held many centuries ago between the native Peruvians and the invading Spaniards. 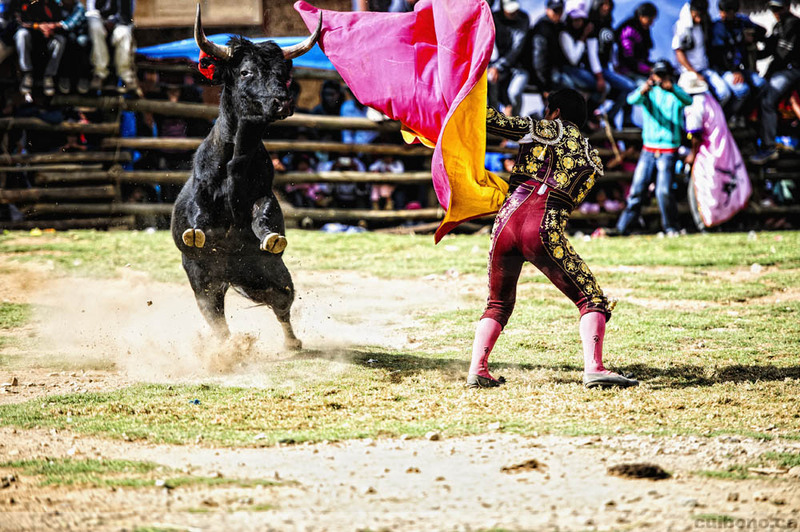 During the event, the revered condor (one of the Gods of the Inca Empire trilogy) is the bull's tormentor as it pecks away at its back and uses its claws for balance while it attempts to also free itself. 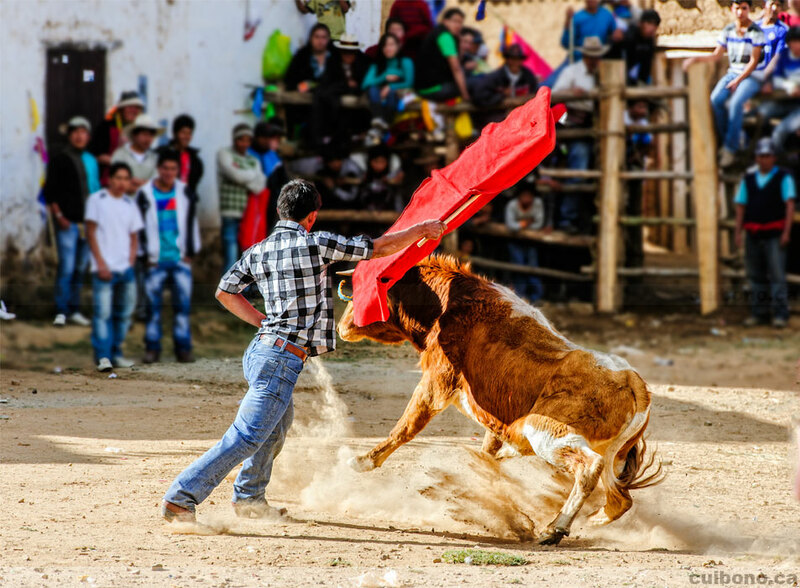 The pain infuriates the bull who continually bucks and in the process, faces off against many toreros who spontaneously enter the ring (the spontaneous toreros are audience members who jump in to take part in the event). 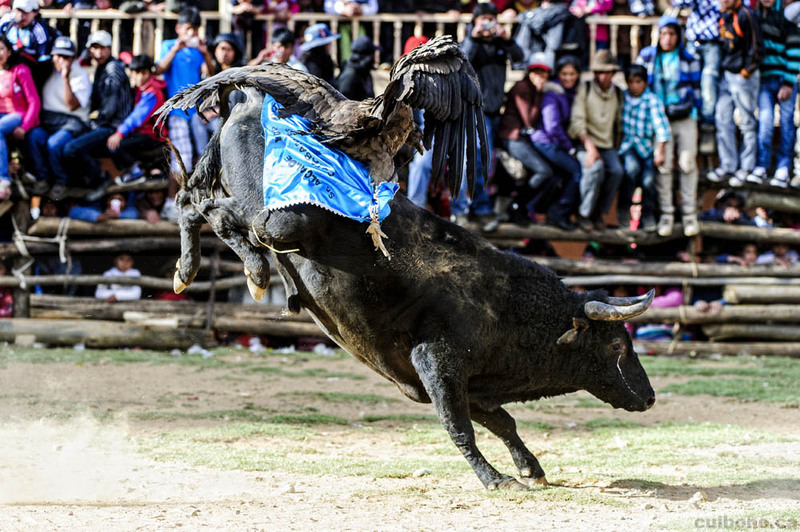 The overall symbolism is pretty clear but it is important to note that neither the condor nor the bull are killed during the event. 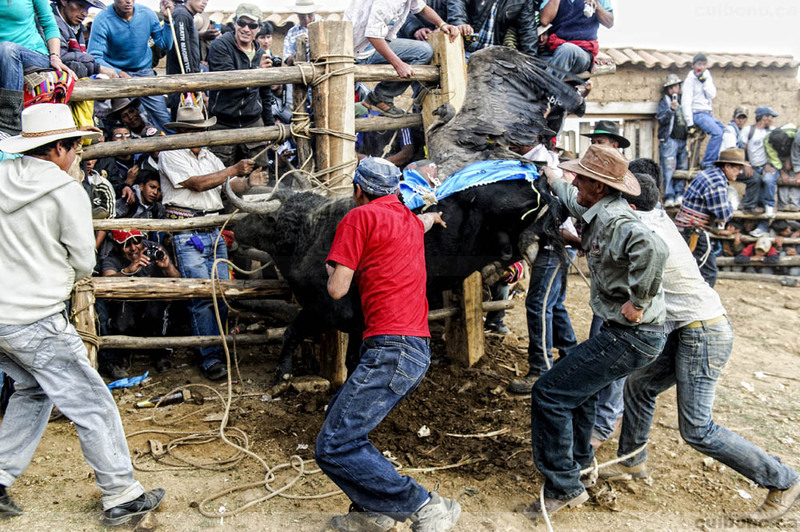 Like every other bull that participates in the day's festivities (the main event is bracketed by "normal" bullfighting), this bull inevitably tires and is freed of the condor before being escorted out of the arena. 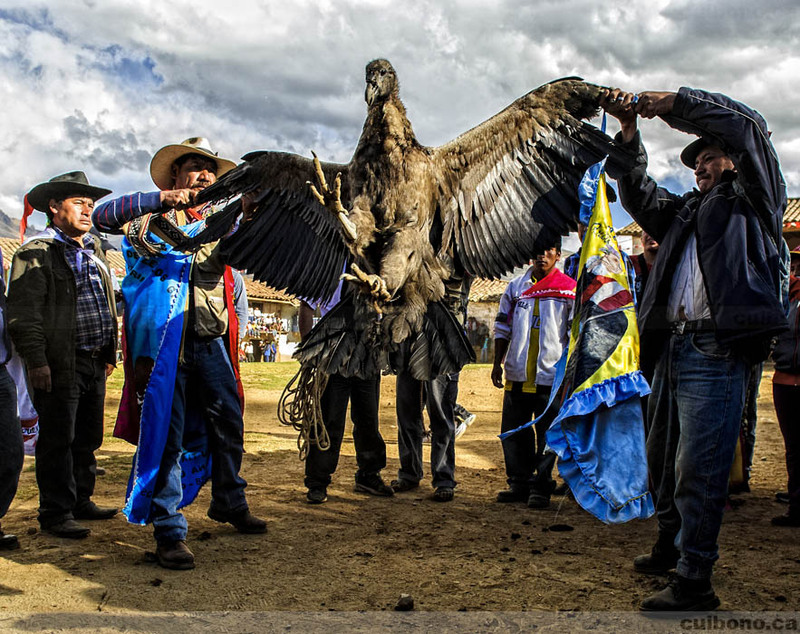 The condor is set free a little later-on amidst music, dancing and some drinking since a healthy and victorious condor is a good omen for the villagers. 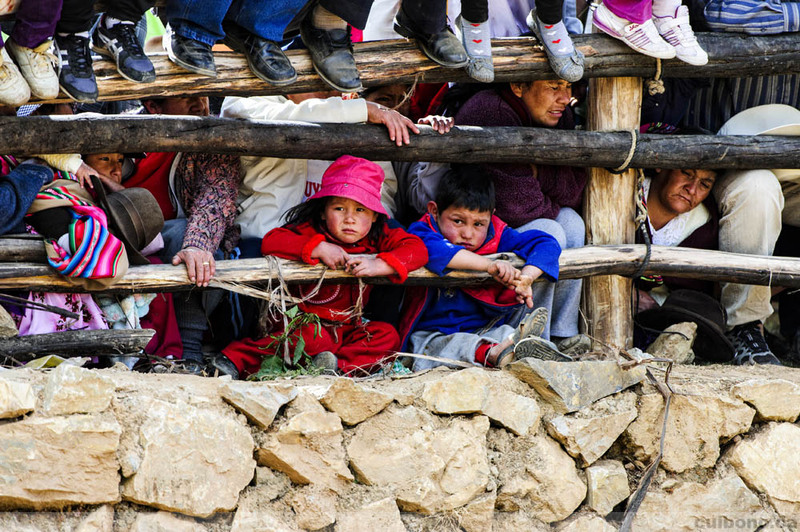 Given the back-story and what could be a pretty incredible photography opportunity, we organized the trip with the help from of some Peruvian friends who had all the right local contacts. My father-in-law and I arrived at the bus stop/terminal a few minutes before 4AM on July 28. We bought our tickets for Cotabambas and were off at about 4h30AM. I should note that it's winter in Peru in July and unbeknownst to me, buses for locals aren't heated. The 6 hour journey was excruciatingly cold given the fact that it was roughly 6 degrees outside (39 Fahrenheit) and that not all windows could be properly sealed. We were however packed like sardines which in the end was good since it cut down on wind and generated heat. 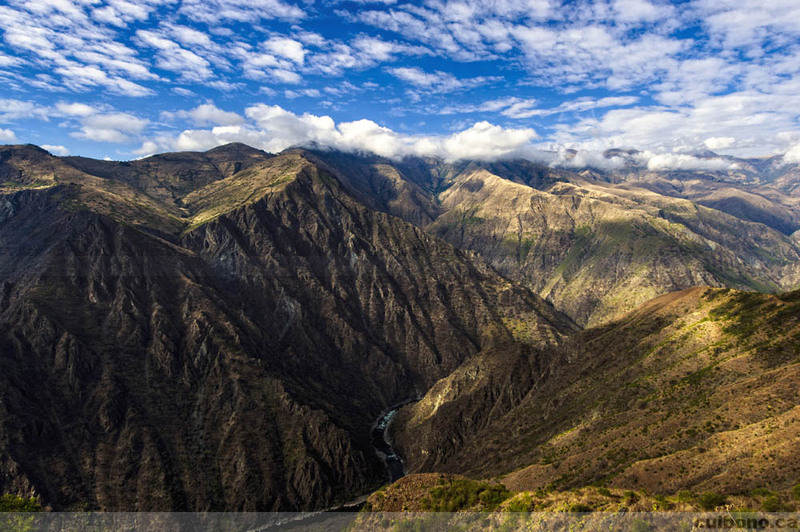 The road to Cotabambas was fine until we arrived at a mountainous area which we had to cross. Since there are not a lot of tourists who venture to Cotabambas, the road-infrastructure is essentially non-existent. We winded our way down one mountain on a narrow dirt road, crossed a bridge and made our way back up the opposite mountain, also on a dirt road. It's worth noting that if you are afraid of heights, it's not a very pleasant journey as there are no guard rails, the road is narrow, the buses are wide and at times, two or more buses going in opposite directions need to maneuver to let each other go by. The views when going up and down the mountains are however breathtaking and do make the perilous journey worthwhile. In addition, our bus driver was gracious enough to offer to stop the bus at a lookout to let us take a few pictures and to take it all in. 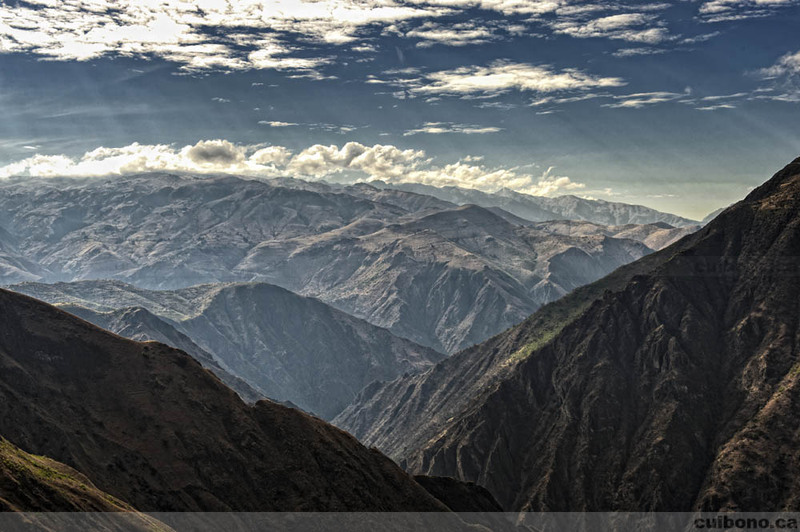 What I saw was a side of Peru that I would venture to guess is rarely seen by many tourists. 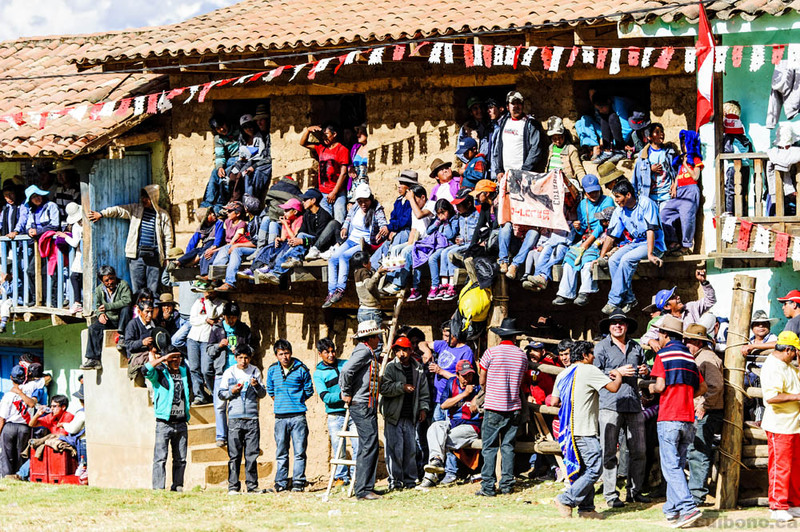 We continued our journey and eventually arrived in Cotabambas, a city sitting well over 3,000 meters above sea level. After meeting our friends who had arrived the night before and were enjoying some traditional food, we made our way to the arena. The city's altitude made the walk very painful due to the weight of the camera equipment and the general lack of oxygen. 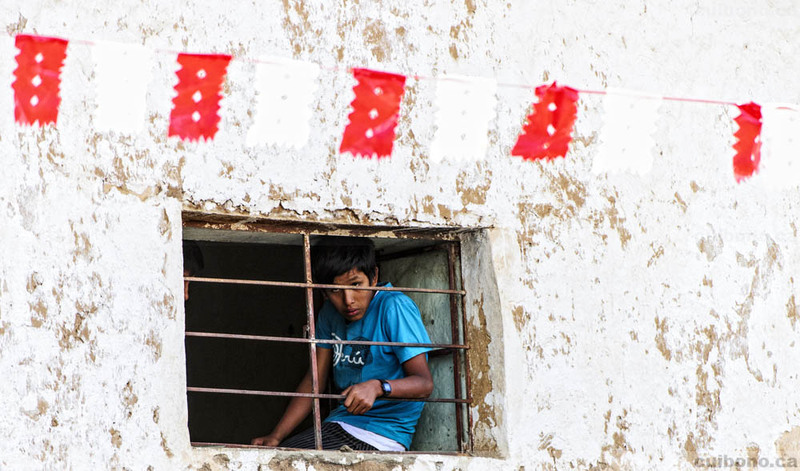 The pain was however quickly forgotten while walking past groups of singing and dancing locals who had been celebrating for over 24 hours straight. We eventually settled in a restricted area shortly after arriving at the arena. 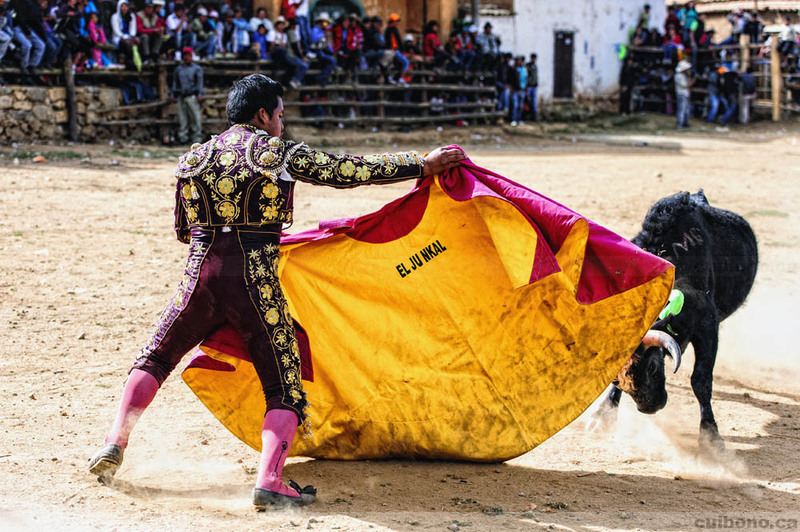 While waiting for the bullfighting to start, the groups of singing and dancing locals entered the arena and continued to party away. It was a nice distraction and helped keep the mood light as many spectators jumped in and began dancing with them! Also interesting was the arena itself: calling it an arena is generous. It's more like a set of houses that form a square and in the middle is where the bullfighting happens. People are scattered everywhere - on balconies, behind makeshift barriers, on roofs, staircases and on the main "stage". 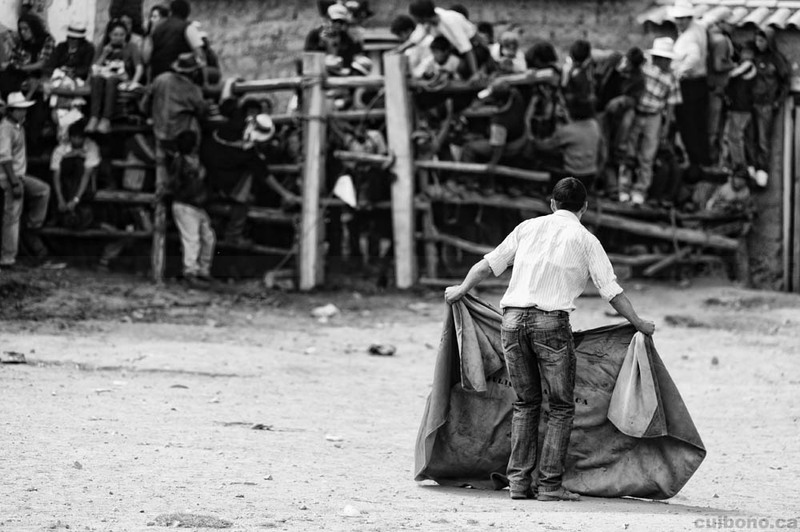 People also frequently crossed the arena, even during bullfights, to greet friends or to get refreshments. It's pretty surreal given the fact that angry bulls are freely running around all afternoon. Needless to say, there were a few close calls, which kept people laughing all afternoon. The mayor eventually arrived on horseback and after a few words on the PA system, the show was underway. 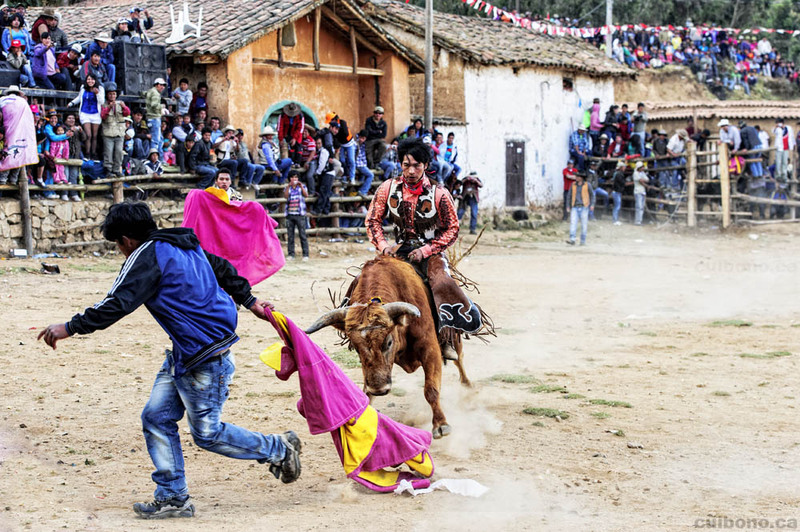 The main toreros had not yet arrived so locals jumped in the arena and faced off against excited bulls. 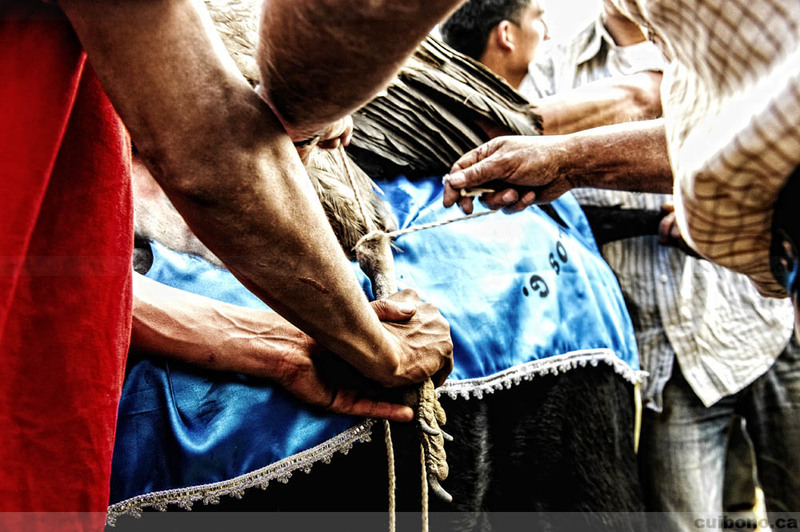 Not all were successful, especially not the first amateur torero who was quickly disposed of by the first bull. 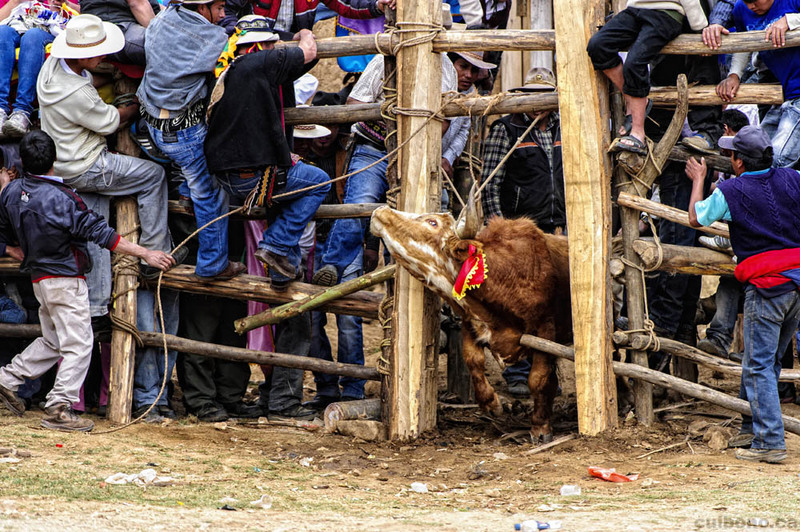 As the bulls tired, they were escorted out of the arena by other friendlier bulls or of their own volition - it's surprising how quickly they found the exit once tired! 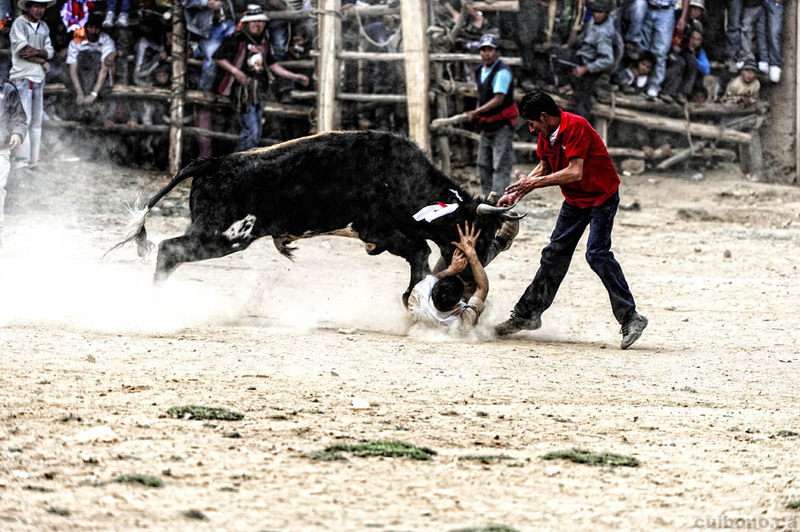 More bulls were brought into the arena and more amateur torero tried their luck until the professional torero arrived. His arrival and his work generated numerous and loud cheers throughout the afternoon. 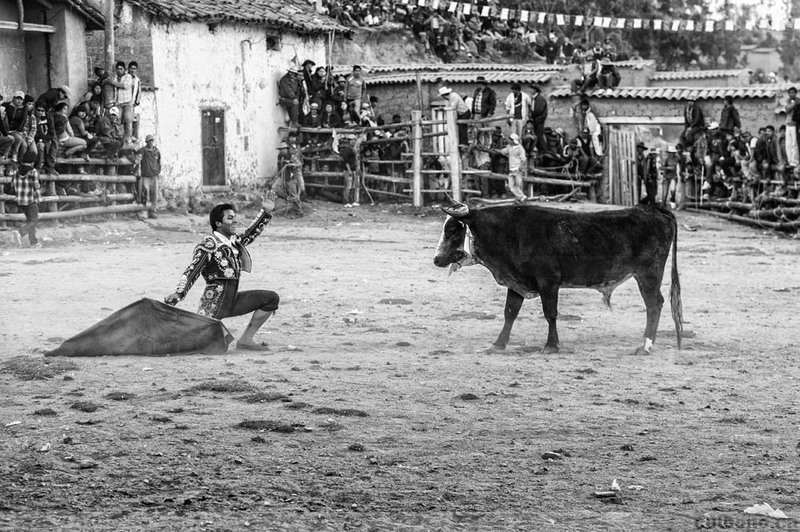 Even without a cape, the professional torero was extremely entertaining and skilled. As bulls ventured in and out of the arena, the condor made its way into the event. 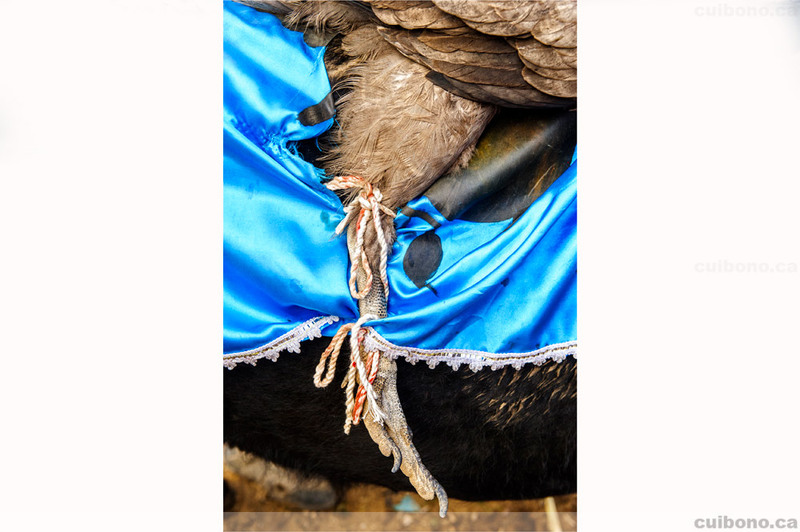 Roughly three hours into the event, the condor finally appeared and was paraded around the arena before being escorted into a smaller field next to the arena. 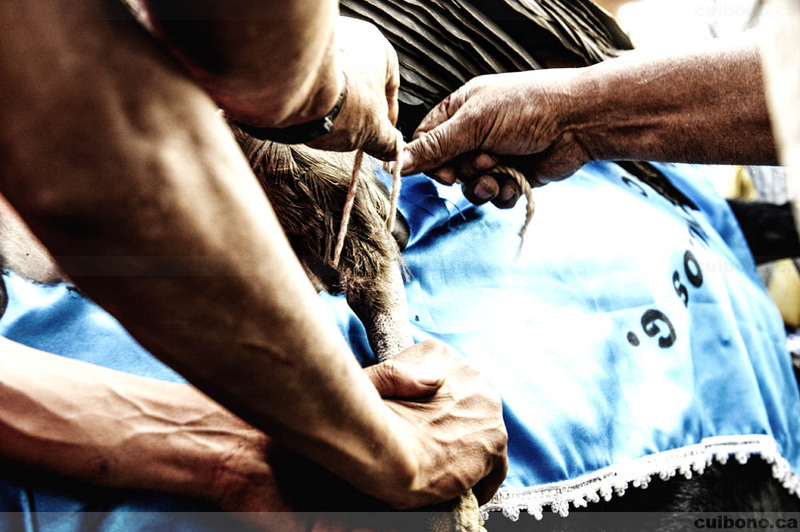 Lucky for us, we also had access to this area where the condor was blessed and prepared for the event. 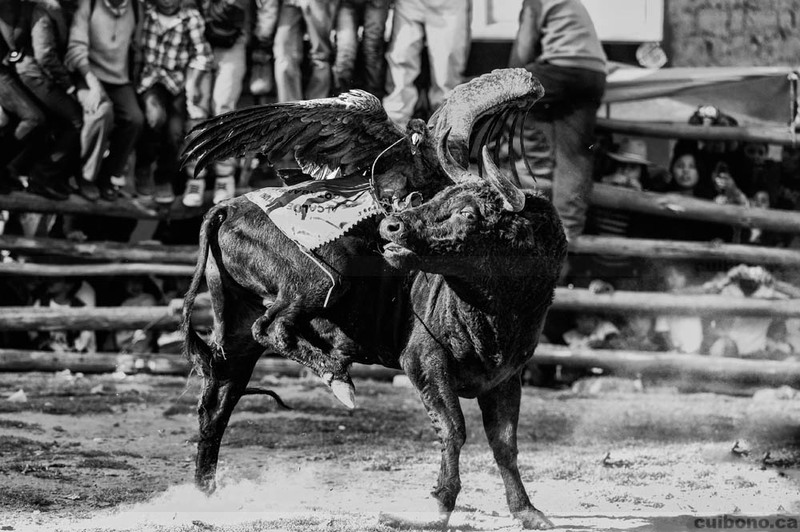 Once ready, the condor was brought back into the main arena and walked over to the waiting bull. 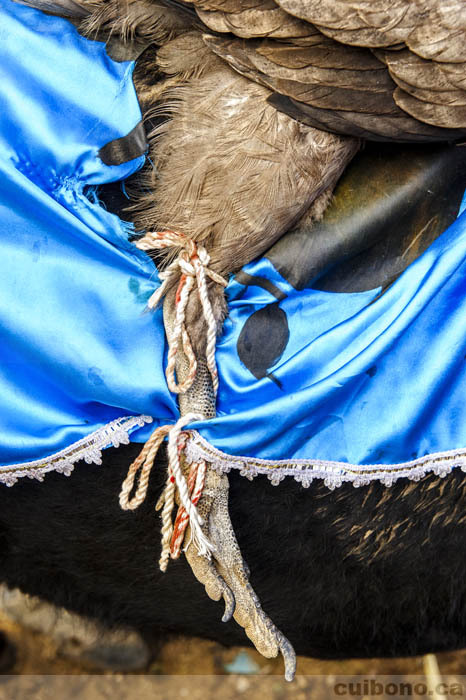 Tying and “sewing” a condor to a bull is not easy and it requires quite a few volunteers who were ready and willing to be kicked, pushed, clawed or pecked by an angry bull and/or condor. 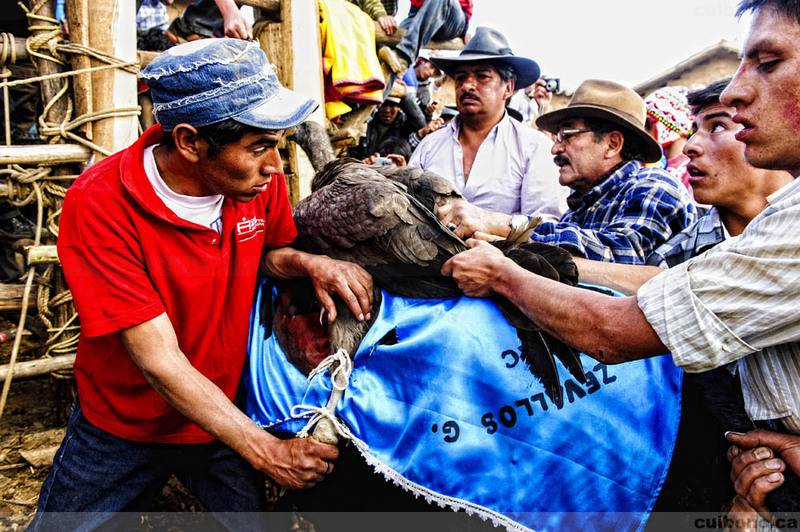 The deed was eventually done and both the bull and condor were released. Interestingly enough, the dozens of people in the ring who took pictures didn't automatically leave the arena. 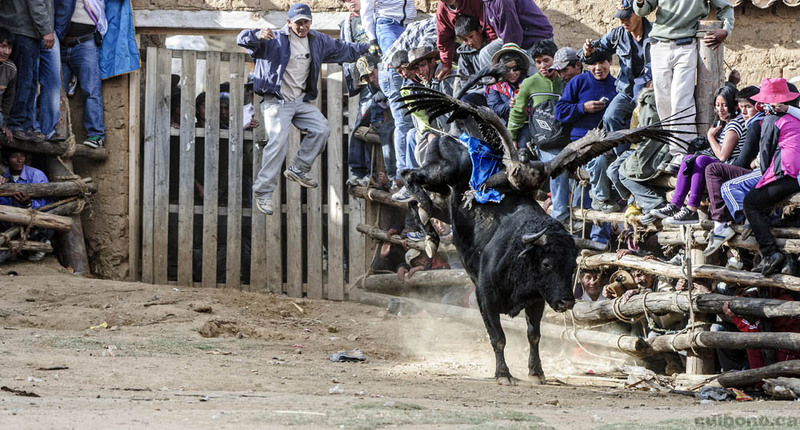 They either stayed in to take more pictures or challenged the bull and condor themselves. 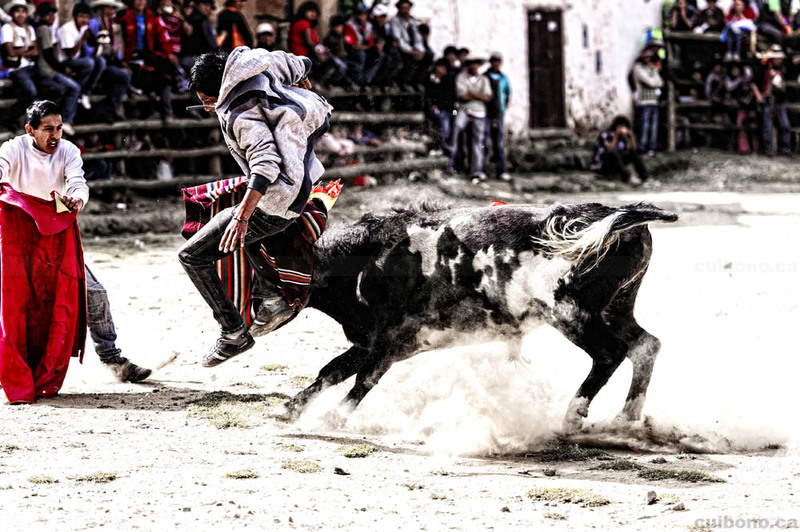 I suppose the risk is a lot lower at this point since the bull is preoccupied with the condor on its back and that there are a lot of potential targets in the arena for the bull to charge. The main event lasted fifteen minutes or so. 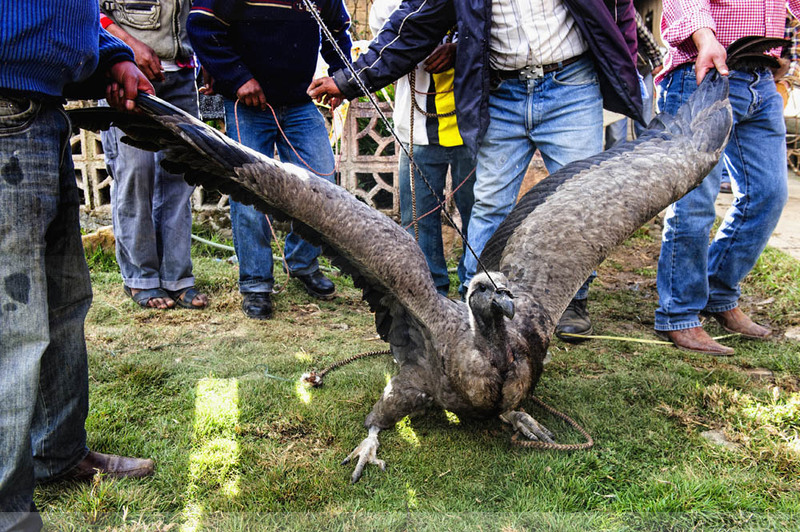 The condor was eventually released, unharmed. 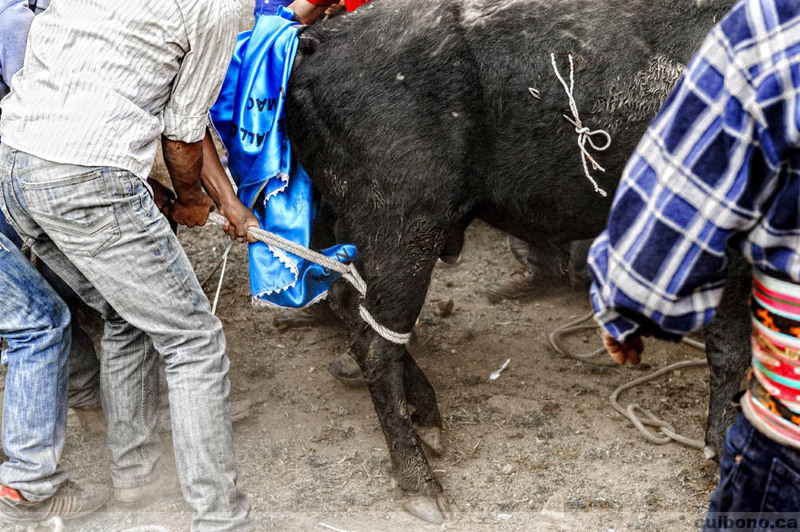 The same can't be said about one amateur torero who was severely hurt by a charging bull. 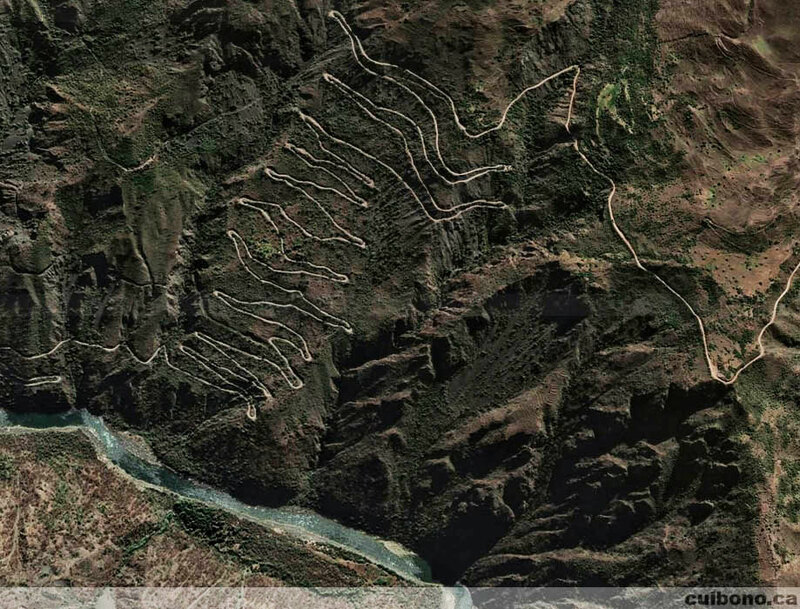 The ride back to Cusco couldn't have been easy. 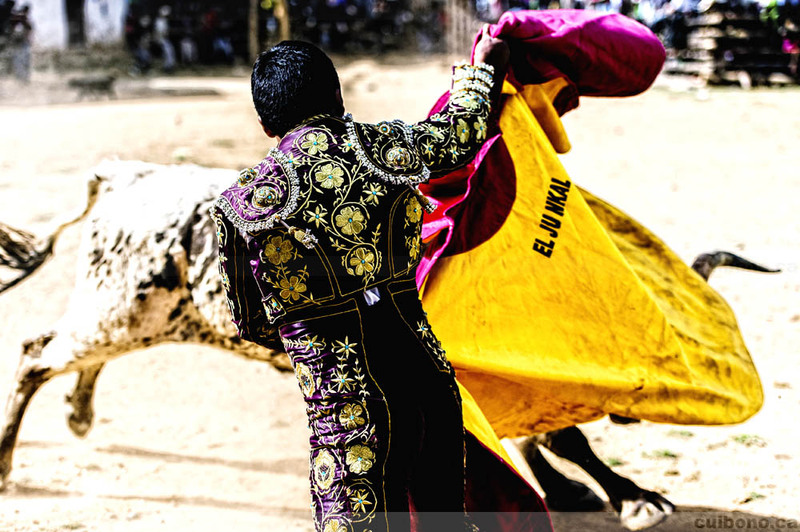 Once moved to safety on a stretcher, the bullfighting continued until well after seven in the evening. 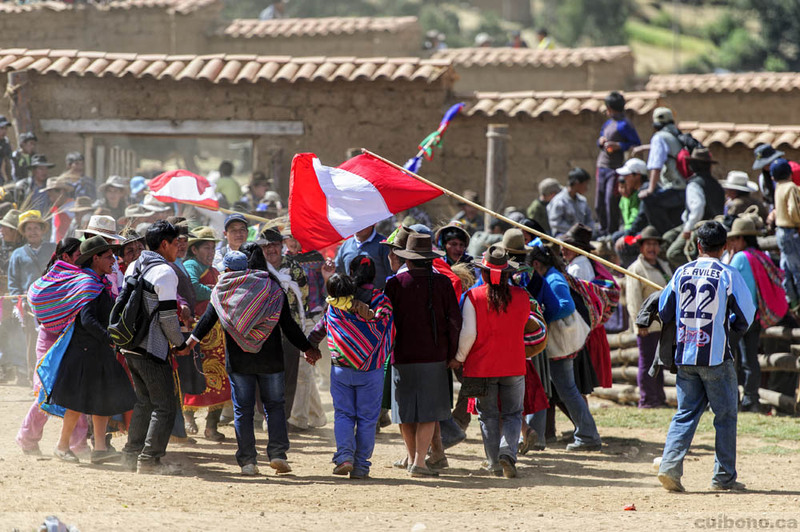 We eventually made our way back to the bus and made our way back to Cusco. As previously noted, the journey to Cotabambas was scary. The journey back incredibly enough was worse since it was pitch dark outside, and the bus driver had to navigate the same winding roads. We were also always on the right side whenever we crossed another bus, which meant we were on the cliff side. The journey back was probably colder than the journey there, but all in all, no cold or scary cliffs could dampen what was a truly memorable day.